May. Releases Plaza-i Service Purchase Management System – SVP. Oct. Releases Plaza-i Sales Force Management System – SFM. Jan. Releases Plaza-i V2 LAS. Apr. Releases Plaza-i Fixed Assets (Asset Retirement Obligations) Version. Oct. Releases Plaza-i Ver 2.0 (.NET Framework)…SOE, PUR, and DRS. Apr. Releases “Plaza-i Fixed Assets” Version 2, which supports Lease Accounting, and “Plaza-i Expense Settlement” Vsersion 2. Jul. Relocates the office to Konan(Shinagawa), Minato-ku, Tokyo. Feb. Releases Plaza-i Expense Settlement System – EPS. Jul. Releases Plaza-i General Purchase Management System – GPM. Apr. Releases Plaza-i POS System – POS. Mar. Releases Plaza-i Fixed Asset System – FAS. Feb. Starts developing .NET Framework system by C#. 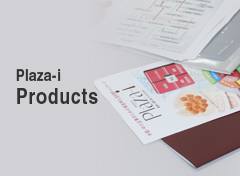 Dec. Integrates “Plaza” series into “ICAT” series, and releases them as “Plaza-i” series. Jul. Releases “ICAT Forward Exchange Contract”. Jan. 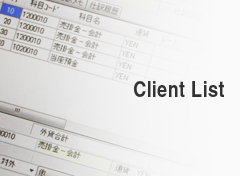 Releases “ICAT Local Accounting”. Jul. Releases “ICAT Services Management”. May. Releases “ICAT Project Management”. Aug. Relocates the office to Shiba, Minato-ku, Tokyo. May. Starts developing ICAT Accounting, Payable, Receivable, Sales Management, Purchase, Logistics and Inventory, and Client. May. Releases the above “ICAT” series. May. Releases “Plaza Fixed Assets”. Apr. Relocates the office to Kitashinjyuku,Shinjyuku-ku, Tokyo. Feb. Start developing “ICAT”; a C/S type high integrated and empowered application package designed for growing medium sized companies. May. Releases “Plaza Sales Management”. Dec. Releases an accounting package “Plaza Accounting” that runs on Windows. Designed for foreign affiliated companies and small to med sized companies. Bilingual and multiple currencies. Oct. Starts construction of a system for a food company using SYNON/2. Jul. Relocates the office to Yotsuya, Shinjyuku-ku, Tokyo. Jun. Receives order of entrusted system development for a publicly-held company (construction company) using AS/400. Starts designing an integrated system for sales, construction work management, materials, and construction site using SYNON case tool. Completes the system implementation in April, 1992. Oct. Relocates the office to Nihonbashi Ningyocho, Chuo-ku, Tokyo. Apr. Opens the office in Nihonbashi Kakigaracho, Chuo-ku, Tokyo. Dec. Releases an accounting package “CATS” that runs on the DOS environment. 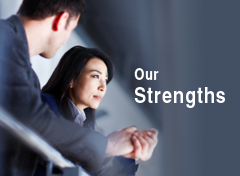 Designed for foreign affiliated companies, bilingual and multiple currencies. Nov. Business Associates K.K. is founded. COPYRIGHT(C) BUSINESS ASSOCIATES K.K. ALL RIGHTS RESERVED.